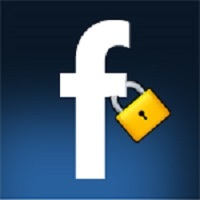 The privacy problems just keep mounting for Facebook. This week, a report from Princeton University’s Center for Information Technology Policy revealed that the “Login with Facebook” feature used widely across the web may have exposed your data to third-party trackers. The Login with Facebook tool is used across the vast majority of popular websites, not to mention apps. It’s a simple and streamlined way to sign up for sites or access an existing account, but like with so much else involving Facebook, that convenience may come at a cost: your privacy. According to the report, this exploit could allow third parties to gather your name, email address, gender, profile picture, location and more. For its part, Facebook said it’s investigating the alleged security flaw, and has temporarily suspended part of the tool. This abuse of its tools isn’t necessarily Facebook’s fault, but there’s always more the social media giant could do to protect its users. And it’s a good thing there are so many watchdog organizations holding the company accountable.